This isn’t a surprise, but there is a bit of a twist. In a filing late Thursday, Attorney General Ken Paxton asked a federal district court in Austin to absorb two other legal challenges that have been filed against the ban in San Antonio, which is seen as a friendlier venue toward opponents of the law. In May, the city of El Cenizo became the first jurisdiction to file suit to block the ban. El Paso County followed a few weeks later. But Texas had filed a pre-emptive lawsuit May 7 asking for the Austin district court to rule the ban constitutional. 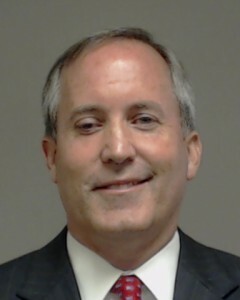 Because Texas had filed its suit first, Paxton argued in his motion, the cases should be tried in the court it had petitioned under a concept known as the “first-filed” rule. Paxton also argued that the legal challenges in the San Antonio court should be stopped because the plaintiffs, which include El Paso and El Cenizo, had no connection to that jurisdiction. The motion could mean that jurisdictions and groups that had signed on to lawsuits as plaintiffs — like El Paso, El Cenizo and the League of United Latin American Citizens — will now become defendants in the state’s original suit. Mimi Marziani, executive director of the Texas Civil Rights Project that is representing the Texas Organizing Project Education Fund, said the state is trying to intimidate civil rights groups to make them wary of joining suits against the ban. See here, here, and here for the background. I presume that Paxton will eventually amend his motion to encompass the San Antonio/Austin lawsuit as well. I Am Not A Lawyer, so it is not clear to me what the advantage to Paxton is in doing this, other than his apparent belief that the court he filed in is more amenable to his argument than the San Antonio court. Plaintiffs usually have some burden of proof on them, so you’d think that being the defendant would be the less onerous task, but again, I don’t know what I’m talking about, so any actual attorneys out there are encouraged to weigh in. I do believe that this is intended to intimidate any other potential litigants, though I don’t think it will be successful on that front. In any event, I’ll be keeping an eye on this. All these suits are basically beating the same horse, so it actually makes sense, combining them in one venue. The state does have a fiduciary duty to the taxpayers to keep costs down, and relitigating the same thing over and over isn’t a good use of taxpayer money. I really don’t see the problem here, for any of the pro-illegal camps, because Austin isn’t known for its conservative jurists. Asking all of the suits to be commingled and heard there doesn’t seem like it would benefit supporters of the law. This doesn’t seem like Paxton is venue shopping, it seems like he’s actually doing his job. Credit where credit is due. Paxton should be a target for 2020. Hopefully, Paxton will be a guest of the state long before 2020 comes around.